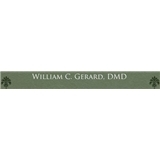 William C Gerard, DMD (Livingston) - Book Appointment Online! From first contact at Dr. William Gerard our Livingston dentists are committed to your individual attention and strive to provide personalized oral health care tailored for your unique dental needs and goals. We work hard to create the ultimate stress-free and comfortable dental experience. Your health and comfort are our top priorities, and we do what it takes to help every patient understand their symptoms and treatment options in a relaxed office setting. Dr William is very nice and professional. Most responsible dentist I have ever met. Every staff here is so nice, patient and works efficiently. The whole place is very clean and patient friendly. The parking is very easy too. I highly recommend visiting here.